High-intensity interval training is beloved by many for its calorie-burning efficiency. But for cardiovascular and metabolic health, new research from the Curry School of Education and Human Development suggests it may not be as superior as we think. If your New Year’s resolutions included more exercise, you’re not alone. Every January, gyms and weight rooms across the country are flooded with people determined to improve their health through exercise. Recently, more and more are including high-intensity interval training, or HIIT, as part of their plan to get fit. High-intensity exercise is loosely defined as anything that gets your heart pumping near or above 80 percent of your maximum heart rate – like a sprint around the track. In interval training, you alternate short bursts of high-intensity exercise with low-intensity recovery periods. Studies have shown that HIIT is more effective at burning calories than a continuous, moderate-intensity exercise like jogging – and for Americans, who list “lack of time” as the No. 1 reason they don’t get enough exercise, that’s a huge benefit. But while calories are a helpful measure for weight loss, researchers at the University of Virginia’s Curry School of Education and Human Development are more interested in understanding “exercise as medicine” – how to design exercise for optimal cardiovascular and metabolic health. Obesity-related diseases are among the most common in the country, affecting more than 30 million Americans. Nearly 9 percent of the U.S. population has Type 2 diabetes, while upwards of 35 percent have metabolic syndrome, a clustering of risk factors that increase risk for cardiovascular disease. At UVA’s Applied Metabolism and Physiology, or AMP, lab, researchers are focusing on the physiological processes associated with these conditions. They’re working to understand exactly how exercise affects the body – down to the tissue level – with the ultimate goal of helping pinpoint how doctors can prescribe the right “dose” of exercise to treat and prevent these diseases. 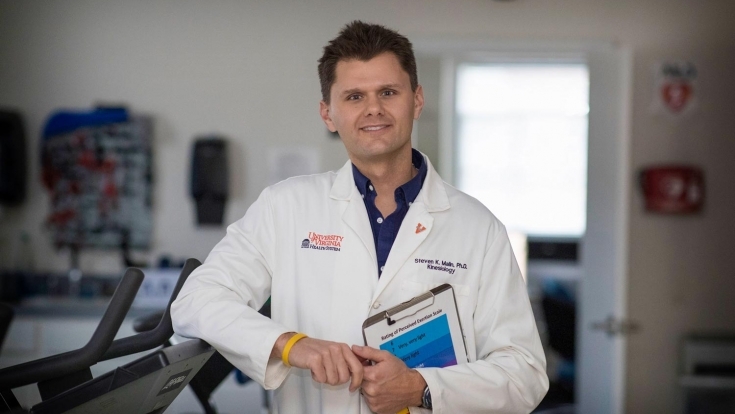 Steven K. Malin, assistant professor of kinesiology and a co-director of the AMP lab, said he and his colleagues were interested in examining the health effects of HIIT when compared to traditional, moderate-intensity, continuous exercise. Unlike other studies, they wanted to know how the two stacked up – independent of weight loss. Participants were then randomly sorted into two groups. For 13 out of 14 days, both groups spent 60 minutes a day (the duration recommended by the Institute of Medicine for weight loss or management) exercising on a stationary bike. But, while one group exercised at a moderate intensity (70 percent of maximum heart rate), the other group alternated between three minutes at high intensity (90 percent) and three minutes at low intensity (50 percent). Malin said the team chose two weeks because it’s enough time for the repeated effects of exercise to take place, but too short to see clinically significant weight loss or improvements in fitness. Importantly, both groups burned about 350 calories per session, which resulted in an average weight loss of less than two pounds. Instead, across nearly all measures, participants in both groups saw similar improvements. After only two weeks of either continuous or HIIT exercise, nearly 40 percent of participants were no longer characterized as having pre-diabetes. Both groups also saw improvements in the body’s ability to secrete insulin, decrease arterial stiffness and reduce food intake. The research team has now published four papers on their findings, with more forthcoming. Interval training still offers many benefits, particularly the ability to burn more calories in less time. But it may not be the preferred exercise choice for everyone. In that sense, these findings are great news: they suggest that exercise offers significant health benefits, no matter what kind you do. And while the most visible effects of exercise, like weight loss, may not show up right away – that doesn’t mean the exercise isn’t working. While researchers are encouraged by these unexpected findings, Malin is quick to highlight the many unanswered questions that remain. The jury is still out on exactly how different lengths, frequencies and even different variations of high-intensity interval exercise affect the body. Many other factors can affect individual response to exercise. For example, Malin said researchers at the AMP lab are pursuing studies that examine how different kinds of exercise interact with certain diets and medications. They envision a future where physicians can prescribe personalized exercise plans to their patients, a growing field of research known as individualized or precision medicine. 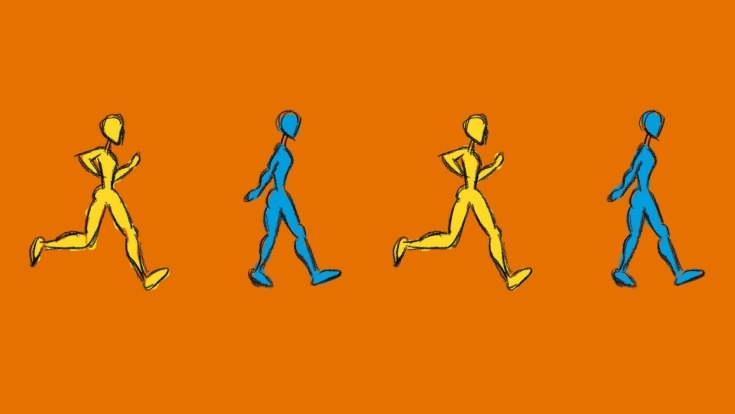 Increasingly, researchers are looking beyond averages and digging into the many variations of human physiology and lifestyles that lead to varied responses. “I think we’re really on the precipice of trying to push that envelope,” Malin said. While there’s no one-size-fits-all approach for health and well-being, by figuring out how different “doses” of exercise affect the body – down to the cellular level – Malin and his team hope their results add to this growing body of research. Ultimately, they want to help people look beyond weight loss to understand their health from a more holistic perspective. If your New Year’s resolution is to improve your health, the most important thing is that you get moving – because in the end, the best exercise is the one you do. Glucose tolerance findings were published in Medicine & Science in Sports & Exercise. The research team comprised Nicole Gilbertson, Natalie Eichner, Monique Francois, Max Gaitan, Emily Heiston, Arthur Weltman and Malin. Beta-cell function findings were published in The Journal of Applied Physiology. The research team comprised Francois, Eichner, Gilbertson, Heiston, Chiara Fabris, Marc Breton and Malin. Arterial stiffness findings were published in Experimental Physiology. The research team comprised Eichner, Gaitan, Gilbertson, Mahnoor Khurshid, Weltman and Malin. Appetite regulation findings were published in The Journal of Applied Physiology. The research team comprised Heiston, Eichner, Gilbertson, Gaitan, Sibylle Kranz, Weltman and Malin.